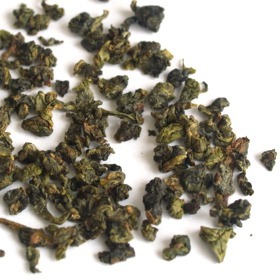 Formosa Cui Yu Oolong Tea is from the famous Alishan high mountain in Taiwan. Formosa Cui Yu Oolong Tea leaves are hand picked Formosa Cui Yu Oolong Tea is a slightly roasted tea with flowery aroma. Formosa Cui Yu Oolong Tea is suitable to be drank after a meal to aid digestion. Sweet, flowery and fruity taste. Tightly rolled green colored tea leaves, this tea yields yellowish green liquor. Even worse than individual oolong tea bags from grocery store shelves. Ill never order tea from this site again. This is a nice tea, good sweetness and decent floral notes but it was a little subtle in overall flavor. This tea really opens up from its tiny size and yields an interesting clear green brew. For the price I will most likely pick this one up again. I am not yet that used to oolongs, specially green ones. I still prefered the huang jin gui to the cui yui. I only had a small size of the cui yui and wonder if I still need to learn to brew it the right way. I might try again after expanding my experience with oolongs.